Lessons Learned from 1 Year of Underachieving. I have always been an overachiever. My first 40 years were spent racking up achievements—arguing with the teacher for a 100 if they gave me a 98, running for class president, winning 1st chair, best in class, the list goes on. Even into my adult life I struggled to find a feeling of success that wasn’t accompanied by some kind of external accomplishment. Several years ago I started racing triathlons and true to form, I had to keep one-upping myself every year. It was either go further or faster, or I wasn’t good enough. In 2012 I did a full distance triathlon and loved it, but only a few weeks after crossing the finish line I was already planning my next race season. The following summer my goal was to set a personal record in the half-distance triathlon. I did three races and missed my goal each time by less than two minutes. When I stepped back and looked, I realized I was defining my worthiness by two minutes. Because I missed my goal by a couple of minutes I wasn’t good enough. Then my soul said enough. Often when people turn 40 they want to commemorate it with some big achievement or accomplishment. After 40 years of doing more and more, I was tired, so I declared my 40th year to be my year of underachieving. I told almost everyone I met, and I got a lot of funny looks. It is rare in our society to say one is actively not achieving and be proud of it. What did underachieving look like for me? It was a year of digging into what I desire, focusing on how I want to feel at the end of each day and loving myself for who I am today, right now, in this very moment, no matter how imperfect I am. Knowing that when I follow my heart and say no to the very things that used to drive me, I reap far greater rewards than another medal on my shelf or a plaque on my wall. My 40th year is coming to a close, and the list of lessons I have learned from my year of underachieving is long, but here are my favorites. 1. Overachieving is not the same as success. I always thought I had to do more to be successful, that if I just tried a little harder, said yes to one more thing, did something a little bit better, I would win. I would get “there.” The problem is there is no feeling of accomplishment once you get there. There is only the feeling of wondering what will be the next thing to do, to win, to beat or to conquer. What can I do now prove to myself again that I am worthy? This year I have realized that success comes from your heart. It comes from acknowledging your gifts, talents, and strengths, not from crossing things off a never-ending to-do list. Success is a fountain that flows from within, and it cannot be defined by your job title, your bank account, your Facebook feed or any other external thing. When you pour your heart and soul into doing something you are passionate about, you will feel successful no matter what the day brings. You will know you are “there” because of the way you feel when you go to bed at night and when you wake up in the morning. I have seen and felt a lot of success during my year of underachieving and that success has been sweeter than any that came from doing more and more. 2. Underachieving is not the same as laziness. A big question that came up for me as I started on my year was, if I was underachieving would I be doing anything at all? Maybe the lazy girl inside of me I’ve been trying to keep hidden all my life would finally come out and get nothing done—and my secret would be out. When I stopped trying to cover up my secret lazy shame and actually gave myself permission to relax and breathe, I discovered that I can get a lot done. The difference is that I’m doing things that create purpose and fulfillment, instead of chasing after the quick-fleeting high of another box checked. The key is realizing you have to let go of what you think you should be doing to understand what you really want to be doing. 3. Life’s most important moments don’t happen in the doing, they happen in the being. As an overachiever, I spent most of my time doing. I was always crossing things off my list, filling my brain, my calendar and my day with all the things that had to be done. Once one thing was crossed off it was on to the next task on the list. The thing about to-do lists is they hardly ever have things like stop and breathe or enjoy the moment when you say goodbye to your kids today or sit outside in the sunshine and close your eyes and feel the warmth on your skin. When we are so focused on doing, we start to ignore the being. The being is where we realize how grateful and blessed we are, how beautiful and amazing our lives are and how lucky we are to be alive in each and every moment. My year of underachieving has been a huge part of my recovery as a perfectionist, and yes, I’m still recovering. Recognizing that I will never be perfect has released me from the need to keep trying. My year has been about creating a practice of being rather than doing that will continue to help me recover and love who I am each and every day. On June 20 I turn 41, and you can count on the fact that my underachieving will continue. This is fantastic Kelly! I think 40 is a pivotal year for so many of us and changing from finding success in doing to being is a great leap and what I think will lead us all to future and further happiness. Bravo! My soul needed it today. 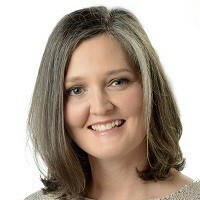 Kelly Covert is co-owner of Strong Body Whole Heart, a transformational coaching company. She is passionate about helping women transform from the inside out to start loving themselves today and living to their fullest potential. She is also the host of The Strong Body Whole Heart Podcast available on iTunes. You can connect with her on Facebook, Instagram, Twitter and Pinterest.